Beautiful new model E Class AMG Line finished in Diamond Silver Metallic with Black Leather/Microfiber sports interior. 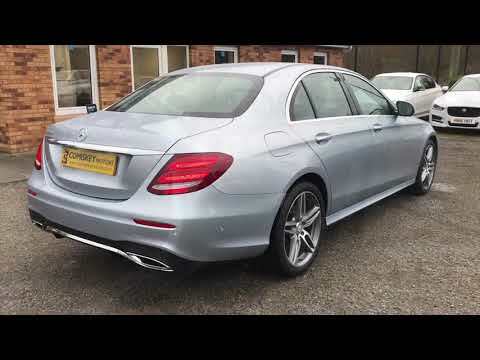 Specification includes Parking Pilot, Garmin Navigation System, DAB radio, Bluetooth, Privacy Glass, AMG body-styling and 18" Alloy Wheels. This car will come fully checked/serviced and valeted by our on-site technicians and with the balance of its manufacturers warranty. Competitive finance packages available, Please contact us for a personalised quote. Delivery available throughout Ireland & the UK.